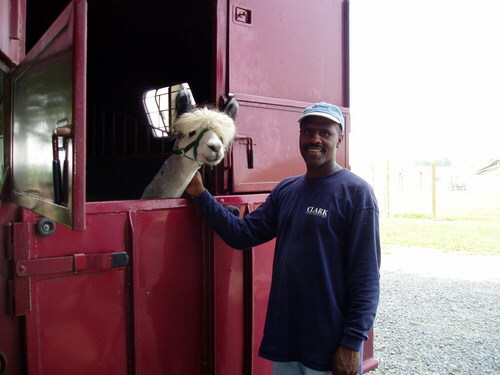 Everyone asks how we got started in the alpaca business. Some people even think we are crazy for taking on so much at our age, empty nesters, and ready to retire from our day jobs. First let me tell you that we both have very time-consuming day jobs. I, Julie, teach 1st grade, and the students love alpacas by the way. And David is a construction General Superintendent. Several years ago we started thinking about retirement. Not so much the financial end as that came much earlier, but the fun part. What did we want to do with the new found time? We are both looking forward to working and being together. We both had childhood experiences on a farm (neither of us actually lived on a farm) that never left us. We came to the place where we both wanted to live in the country on acres of land. But what to do with the land? While strolling the Wool and Sheep Festival in Howard County, Maryland, we saw our first real alpaca. I was prepared emotionally to take it home with me right then and there. However, my husband, David, being the more down to earth fellow that he is, suggested that we do some research into these animals before just bringing it home. Of course he was right. So was I. The more I read about these wonderfully cute animals the more I fell in love with them. The more we researched, the more we decided that this was going to be a way for us to get some time together, a way that we could even make some income during retirement. The opportunities seemed endless. So after three years of thinking, researching and visiting alpaca farms, we finally made our purchase of four bred females and two crias, one herdsire, and two geldings. We didn’t have our house or land ready so the alpaca breeder agisted the animals for us. When we returned in May to witness the shearing process for the first time we purchased more alpacas. This time we purchased three bred females, a cria and a very promising junior herdsire. That’s only 14 alpacas you say, well as time goes on the bred females gave us offspring and those offspring bring the numbers to nearly 30. Those numbers also make us alpaca breeders and so the beginning of our adventure called Quarry Critters Alpaca Ranch. It’s been about 9 years now, David still has his day job and Julie has retired. We are still planing and making our dreams come true and still see more opportunities. You see, you don’t need to know everything about raising alpacas all at once. These animals are patient, alpaca people will help you. Then there are so many directions you can take your alpaca business. Look at us now. 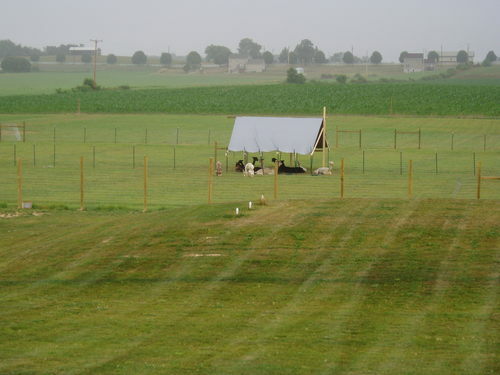 We have a barn…. Now at 14 years into the alpaca business I can say we have seen some changes. 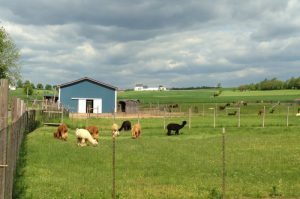 The biggest change is the $100,000 price tag has gone down to a more reasonable price, many more people are able to afford owning and enjoying alpacas. Once owning alpacas was all about the shows, it will always be about improving the quality of the alpaca but now we are looking at all the fiber possibilities. Alpacas use to be exotic animals, now they are considered livestock. 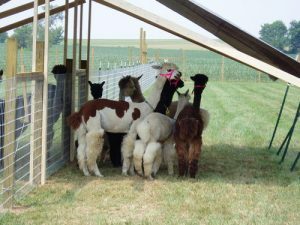 The public, once asking questions such as, “What’s an alpaca?” “How big are their eggs?” Now, for the most part, they have some idea of what an alpaca is and want to come take a look at the newest agricultural livestock. More and more people are interested in visiting an alpaca farm. …run in sheds and almost 50 alpacas! We are alpaca breeders and loving it.